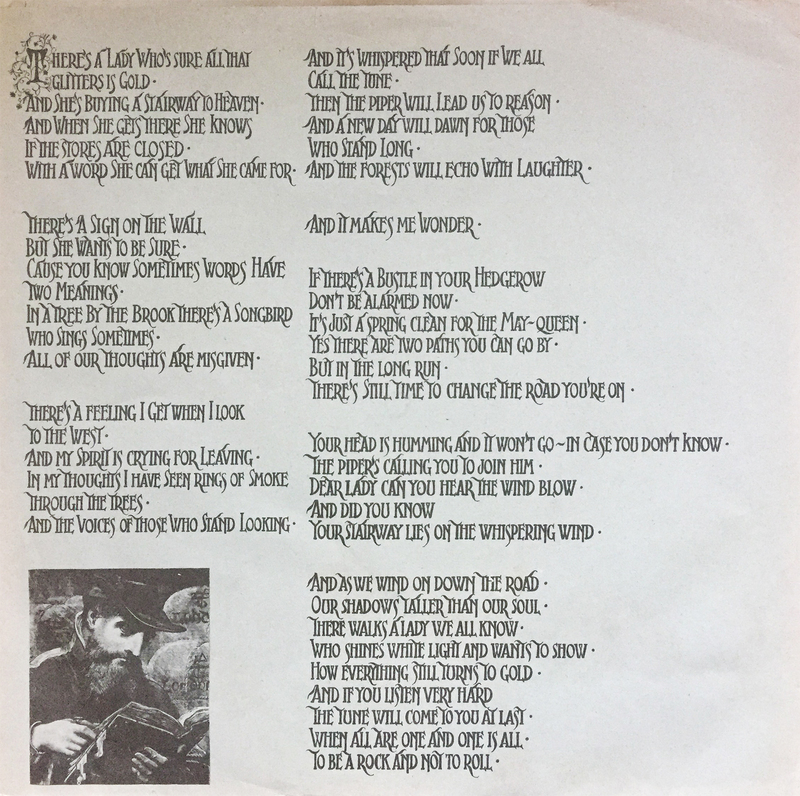 Presented here in photo form (and little else) are the complete lyrics to Led Zeppelin’s (severely overplayed, yet historically significant) Stairway to Heaven, by means of the insert from the band’s untitled, 4th studio album, commonly referred to as Led Zeppelin IV. It’s a quick read, whose melody is, I’m sure, already implanted in your brain. Enjoy.